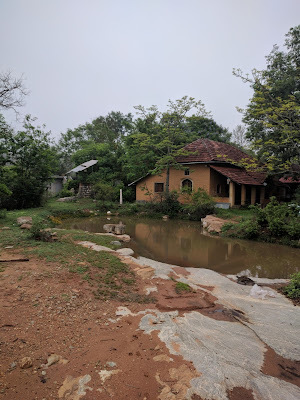 We spent a little over a day in a farm called Navadashram. Taking my first breath of air after exiting the bus, I knew that I was in a place far different from Bangalore. We spent a little over a day in a farm called Navadashram. About 25 years ago, a group of people from around the world got together to explore "a new way of living." They acquired more than a hundred acres of barren land, and simply left it alone. After years of being unbothered, life started returning to the land. Soon they started planting trees and erecting a few simple structures. Today, Navadashram is home to seven human residents and thousands of other species who live and work with the land. It gets visits from leopards, boars and even elephants. Taking my first breath of air after exiting the bus, I knew that I was in a place far different from Bangalore. 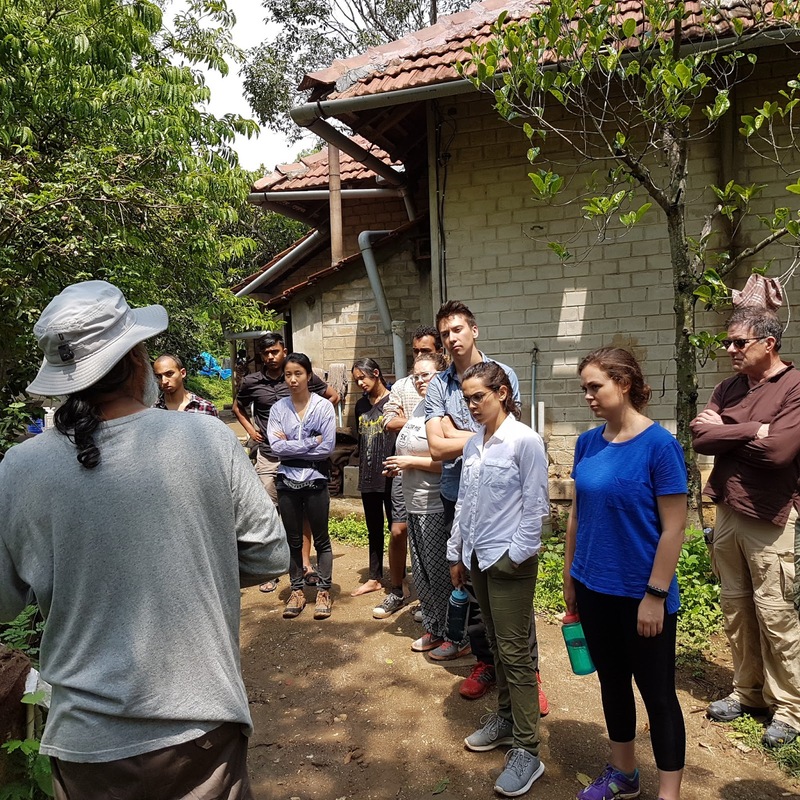 Upon arrival, we met with a former engineer named Gopi who gave us a tour of the the tiny fraction of land where they farm and live on. Gopi left the excitement and success of the city life seven years ago in pursuit of a more fulfilling life. He took us to the farming area where they produce more than enough food to feed all the inhabitants. Through all the sights that we saw, Gopi introduced us to the fundamental concepts that govern their ways of living. At Navadashram, they aim to intervene with the natural processes as little as possible, allowing for the growth to happen organically. The belief is that this approach is the most sustainable and fruitful in the long term. For the buildings that the people lived in, they were built by the inhabitants using bricks that were made with mud from the same land. The remaining crater in the land becomes a pond that is filled by rainwater. The rain is also harvested from the rooftops of every building to combat the looming issue of scarcity. The cows on the land produce dairy that is consumed, and excrete feces that are used to produce gas for the kitchen. The sunlight feeds the towering plant life as well as the solar panels. That afternoon, we went on an hour-long silent walk through the uncultivated lands at Navadashram. Life on Navadashram is void of all the hype that you would see in most communities. The land is what holds the inhabitants together, as that is what their lives revolve around entirely. Gopi explained that they're not really looking for a new way of living, rather they are beginning to rediscover a lost way of living that was perhaps more sustainable and fulfilling.